B.E. 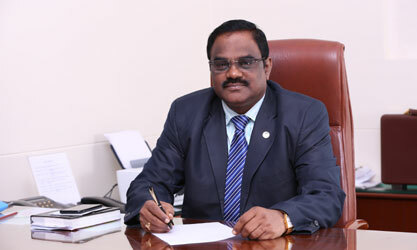 in Agriculture; Post Graduate Diploma in Management (IIM, Bangalore); Masters in Development Management (Asian Institute of Management, Philippines); Fellow in Engineering (Agricultural Engineering) and Chartered Engineer (Agricultural Engineering) from Institution of Engineers (India); secured a distinction in Certified Associate of the Indian Institute of Bankers (CAIIB) Exam. Shri Amalorpavanathan has been with NABARD since 1984. During this long tenure, he has diverse experience in Finance, Banking, Institutional Development, Training and Financial Management. Prior to his elevation as Deputy Managing Director, Shri Amalorpavanathan headed the Business Initiative Department at Head Office. He had also headed Kerala Regional Office and National Bank Staff College (NBSC), Lucknow. He is current Chairman of NABKISAN Finance Limited, a subsidiary of NABARD. He is also a Member of Commodity Derivatives Advisory Committee of SEBI. He has also served as Director on Multi Commodity Exchange. He represented NABARD in global platforms like Green Climate Fund, Association of Development Financial Institutions in Asia and Pacific.